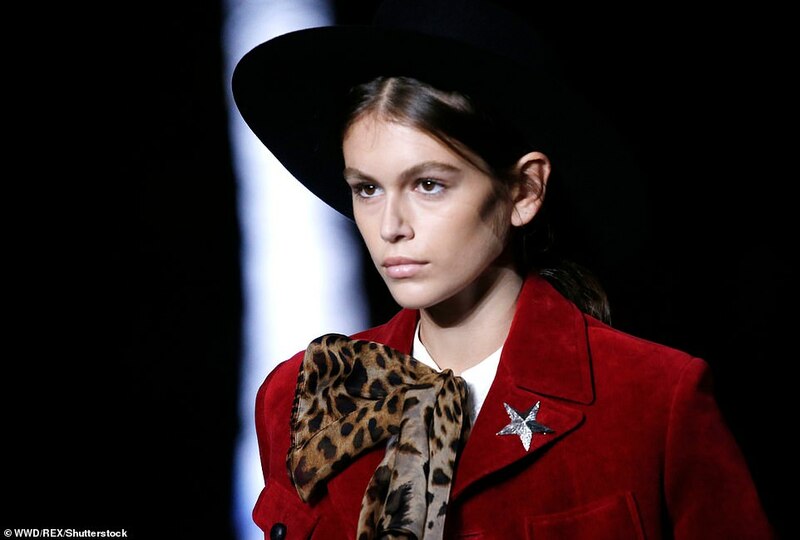 Continuing to rule fashion show after fashion show, Kaia Gerber literally walked on water for the Saint Laurent Paris Fashion Week Spring/Summer 2019 Show. Fast becoming the Catwalk Queen of the season, the 17 year old allured and impressed as she sashayed down the waterfall catwalk in front of the iconic Eiffel Tower. Kaia walked the Saint Laurent ramp in two different outfits including a very star studded front row which included her former supermodel mother Cindy Crawford, and had all eyes on her. For her first outfit, Kaia was dressed in straight black cut-offs styled with a frilly white blouse and a deep crimson blazer with a starfish brooch pinned on the collar. A stylish leopard print neckerchief was worn by Kaia along with a black hat and gold detailed platforms, and the model radiated Parisian chic. For her second outfit, Kaia showed off her long legs clad in an ivory blazer paired with a PVC skirt, sheer black leggings and ivory ribbon heels. 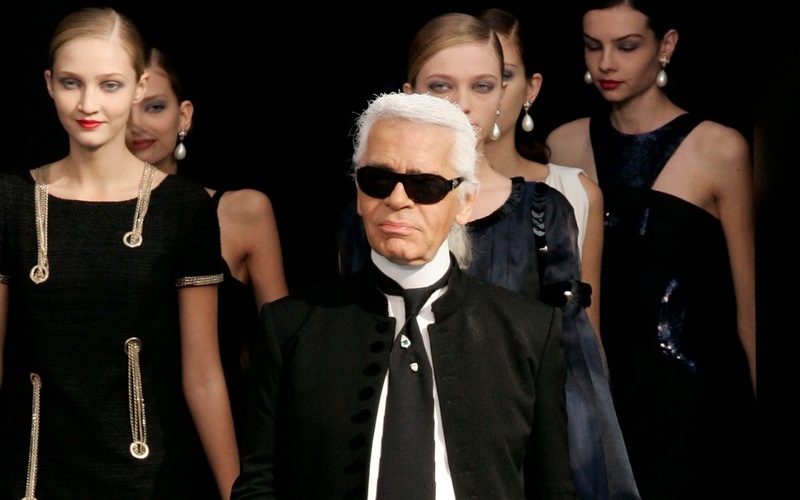 The model also wore a chic bejewelled headband and a pair of stylish sunglasses, and was the epitome of high-end French fashion and sophistication. 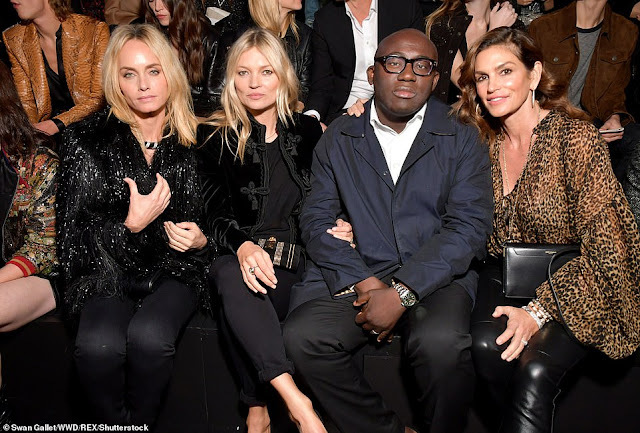 Along with Cindy Crawford, the Saint Laurent front row included Rosie Huntington-Whiteley, Kate Moss, Nicole Richie and Vogue Editor Edward Enninful.